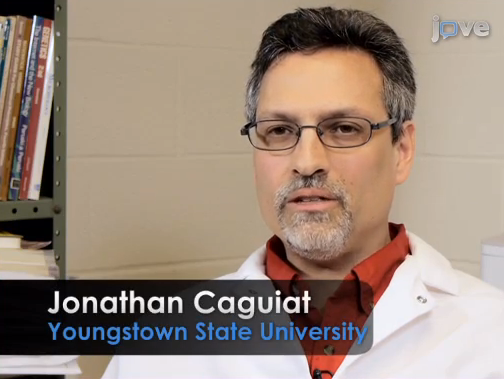 Associate Professor of Biology Jonathan Caguiat’s recent research is yet another first for a YSU faculty member – the first research published in JoVE, the world’s premier peer-reviewed scientific video journal. Caguiat said the Journal of Visualized Experiments, or JoVE, contacted him two years ago about submitting a manuscript, and he decided to write an article based on his research in the Microbial Physiology lab in Ward Beecher Hall. The result is a 13-minute video published last Fall on JoVE’s website, www.jove.com. In addition to Caguiat, the video features graduate students Mumtaz Laskar and Christine Curtis and undergraduate student Joseph Marshall, who graduated Summer 2014. By early January, nearly 800 people had viewed the video, including individuals from Brazil, China, Japan, Australia and across Europe. For instance, Caguiat said it is sometimes important to mix a sample thoroughly for an experiment to be successful. Other times, mixing the sample too vigorously will destroy a protein in a sample and cause an experiment to fail. “JoVE provides those critical details for you,” he said. JoVE was founded in 2006 by scientist Moshe Pritsker, PhD, after he was unable to reproduce another researcher’s findings while at Columbia University. 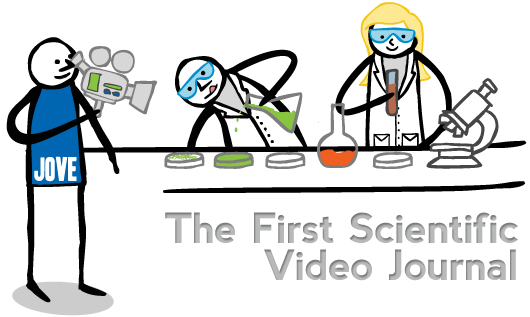 JoVE has published video protocols from an international community of more than 9,300 authors in the fields of biology, medicine, chemistry and physics. 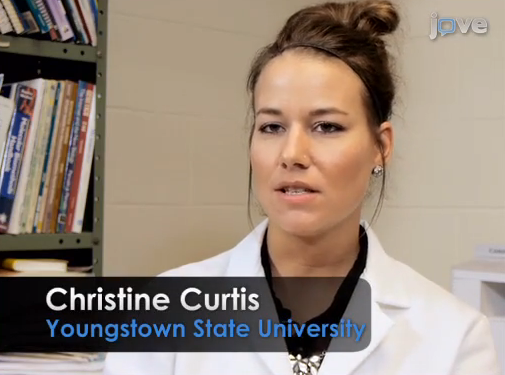 Caguiat’s article and video focuses on how bacteria break down glucose, a sugar, into intermediates that are used to synthesize new bacterial cells. The publication describes a method for using a transposon to mutate the bacteria. The transposon is a piece of DNA that randomly inserts itself into the genome of a bacterial strain. When it does that, it can interrupt genes that allow it to synthesize the components it needs to grow. The publication demonstrates the technique on how to mutagenize the bacterium using a transposon and how to tentatively identify which genes were mutated.